There’s an old adage in real estate, “location, location, location.” And this 5-acre Hilo town property is all about location. A newly created subdivision located just off Lower Kaiwiki Road in Wainaku, this East Hawaii land property offers absolutely spectacular views of Hilo Bay. Featuring five acres of prime agricultural land with a stream bordering the property, the possibilities are endless with this botanical paradise. Build your dream home and create your very own Hawaii life. The property overlooks a foliage nursery and can be leased back to the current owner. This beautiful East Hawaii subdivision features county water and underground utilities, all within a gated community, with CCR’s that are designed to protect your investment. 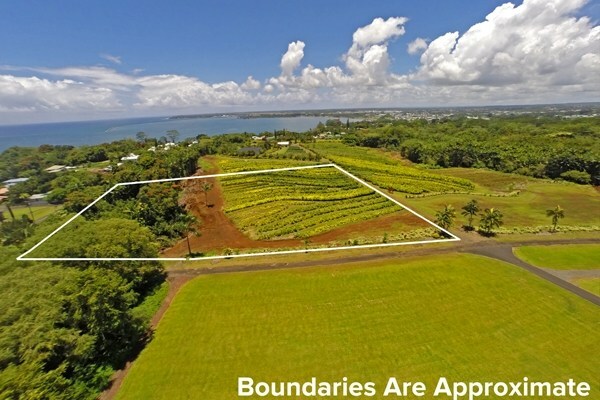 It’s truly a unique opportunity as there are few land properties available of this size that are this close to Hilo town. Here you’ll enjoy seclusion and privacy tucked within the gated community – the only gated subdivision in Wainaku – yet are within easy walking distance to downtown Hilo with its many shops, restaurants, museums, and cultural events. Did I mention the stunning views of Hilo Bay? The Pacific Ocean views from this property are simply magnificent. Watch the full moon rise over the ocean, or unwind and relax while gazing at the twinkling night-lights of Hilo town. 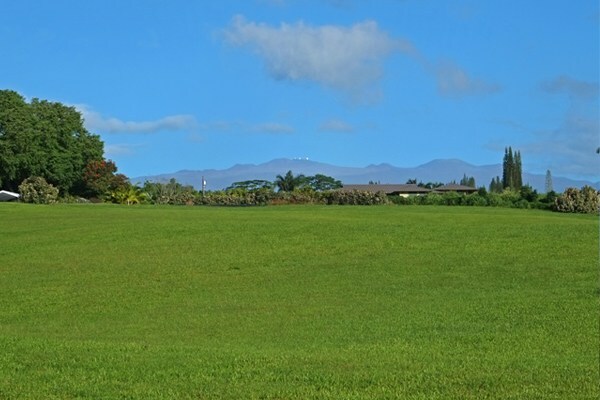 The property also offers wonderful views of Mauna Kea. What’s more, the adjoining 5-acre property is also for sale, presenting a truly incredible opportunity. Like (MLS# 269570), the adjoining land property is also gated and offers underground utilities and county water. It’s bordered by picturesque Pohakunaka Stream, a year-round stream. Each of these two properties is wonderful in their own right. Purchased together, they offer an amazing array of opportunities. 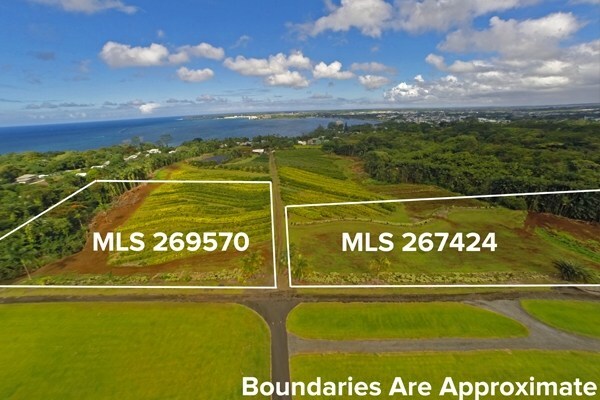 If you’d like more information on these two Hilo land properties for sale, give me a call today at (808) 937-7246 or email me BeverlyMolfino@ElitePacific.com.